Many tourists love to explore the scenic beauty of New Zealand in a campervan. In addition to allowing visitors to live and camp comfortably, the campervans further allow them to explore the popular tourist destinations at their own pace. But the novice drivers often find it difficult to drive larger campervans. Also, each driver must keep in mind a set of important rules to drive the campervan in a safe and hassle-free way. The larger campervans are designed with additional length. So you must remain cautious while parking larger vehicles. It is also important to choose the right place to park the campervans. In addition to choosing location signposted as dedicated campervan parking places, you also need to ensure that there is additional space to maneuver. At the same time, you must prepare the camper properly for parking by removing the exterior BBQs, awnings and power cable. The gas must be turned off before parking the vehicle. To avoid driving hazards, you must secure the loose objects properly. You can even check the loose objects, and ensure that those will not move while driving the campervan. It is a good idea to store the loose objects securely inside the drawers and cupboards. While exploring New Zealand in a campervan, there are always chances that you have to enter unfamiliar territories. While driving through the unfamiliar territories, you must avoid driving in the dark. There must be adequate daylight to explore the territories safely. Further, the light will make it easier for you to camp, and enjoy the facilities. It is also important to avoid driving when you feel tired or uncomfortable. You also need to consider the roads that remain closed during winter and early spring months due to snow and ice. 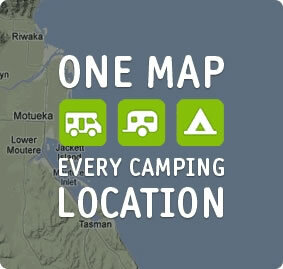 While hiring the campervan, you can get up-to-date information on the weather conditions of certain areas from the campervan hire New Zealand company. Also, you can refer to the New Zealand AA can to familiarize yourself with the road and traffic rules. You must refer to the New Zealand Road Code to understand the urban and rural speed limits, along with the restrictions.